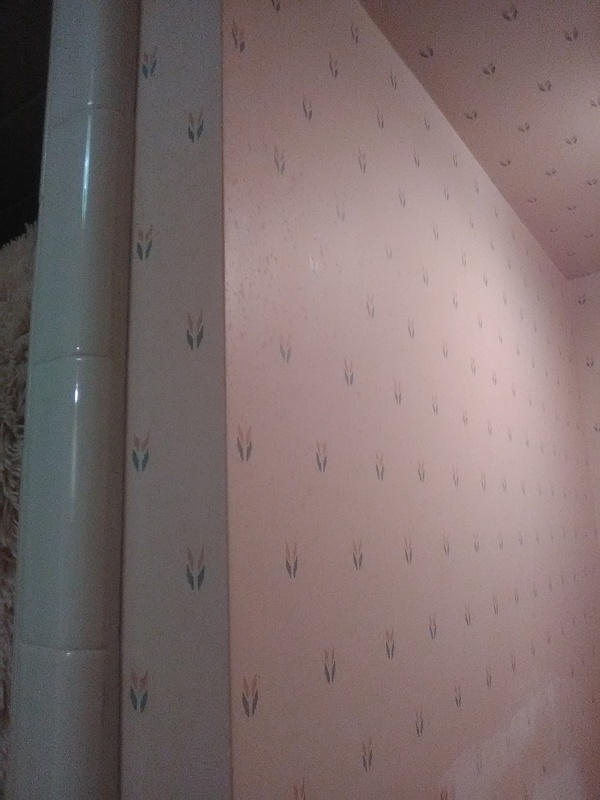 Look at the corner next to the shower tile, on the left of the photo, and look about center of the photo. See the tiny specs on the wallpaper? Although the homeowner swear that no one uses spray products, I believe that these spots were caused by aerosol or other air-borne products (hair spray, air freshener, glass cleaner) that got into the air as suspended particles, and found their way onto the wallpaper. Another reason I tell clients NOT to use any of these products, once their new paper goes up.